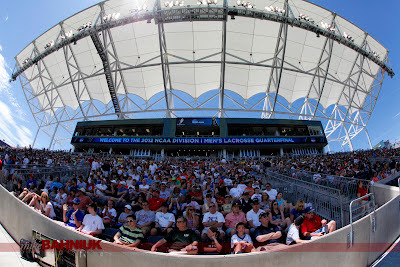 What a great stadium and and it looks like lacrosse has found a new home. 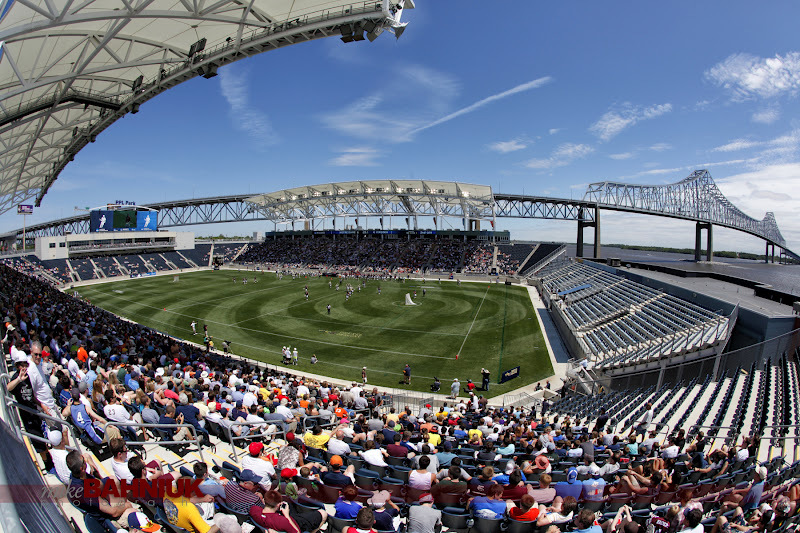 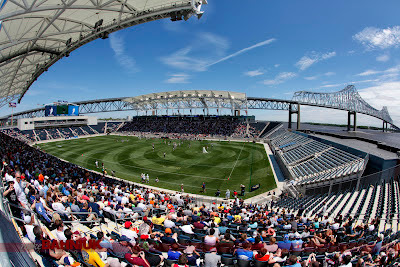 PPL Park in Philadelphia was home to the NCAA D-1 Quarterfinals and what a great location, right next to the Delaware river and under the Commodore Barry Bridge. Usually stadium shots are pretty lame, but this stadium was a great backdrop. I tried not to be a homer, but is was great to see Notre Dame back in the finals for the second time in three years. I will miss shooting the finals next week in Boston and go Irish. 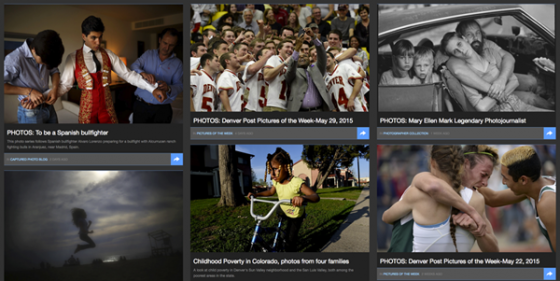 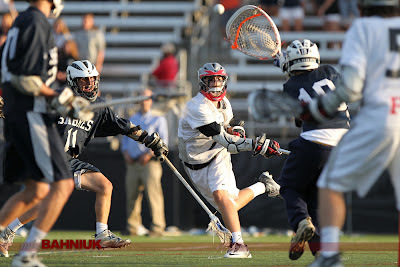 Busy weekend with a few lacrosse games. 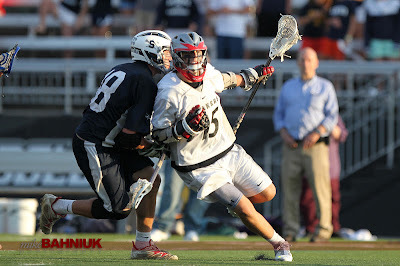 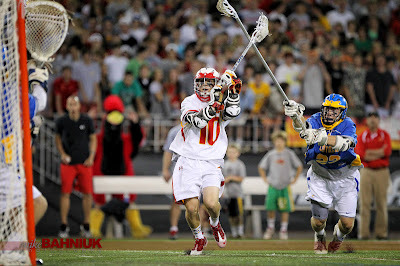 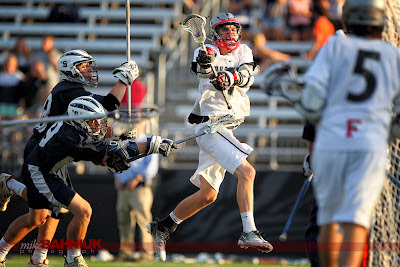 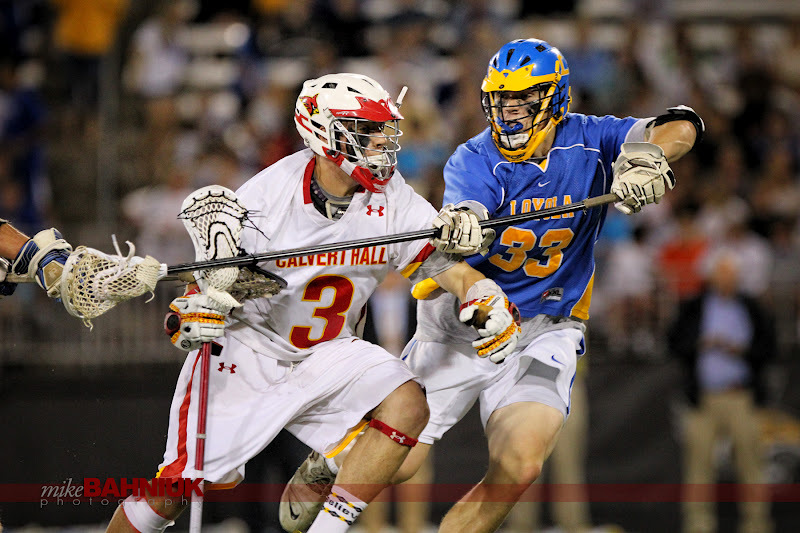 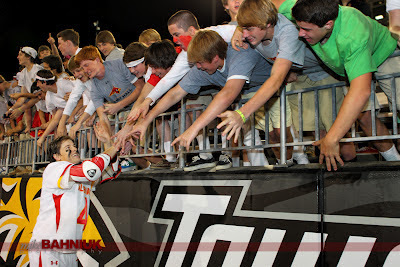 The MIAA Lacrosse Championships were the place to be Friday night in Baltimore. 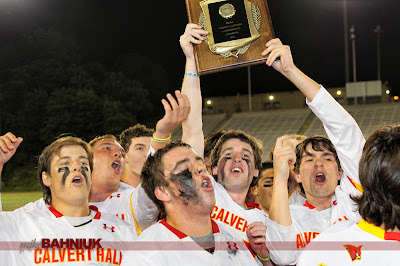 Good crowd to see the MIAA A championship game with Calvert Hall vs. Loyola. Johnny Unitas Stadium at Towson University has great light for late afternoon games with the sun setting right behind the endzone. 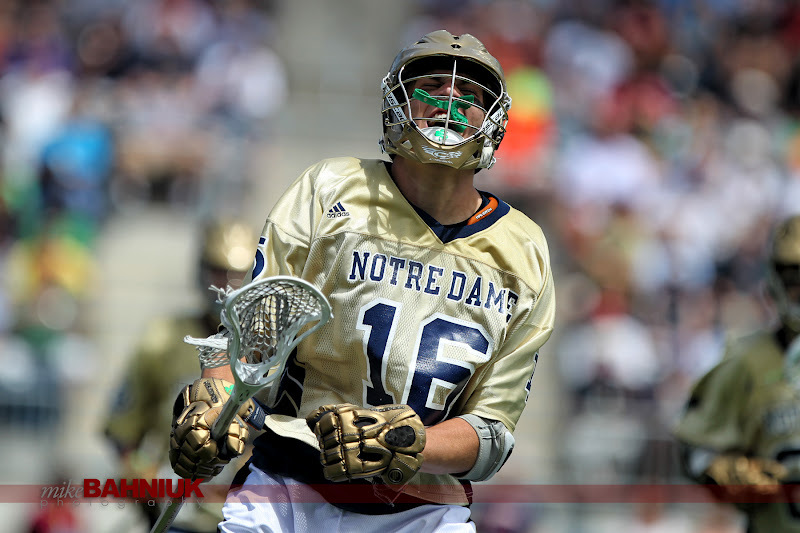 Great afternoon light for the early games, but this did not last for the final game. 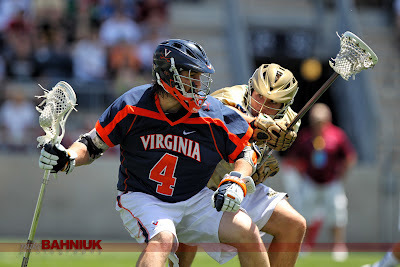 Mike Bahniuk, Washington DC Sports Photographer.